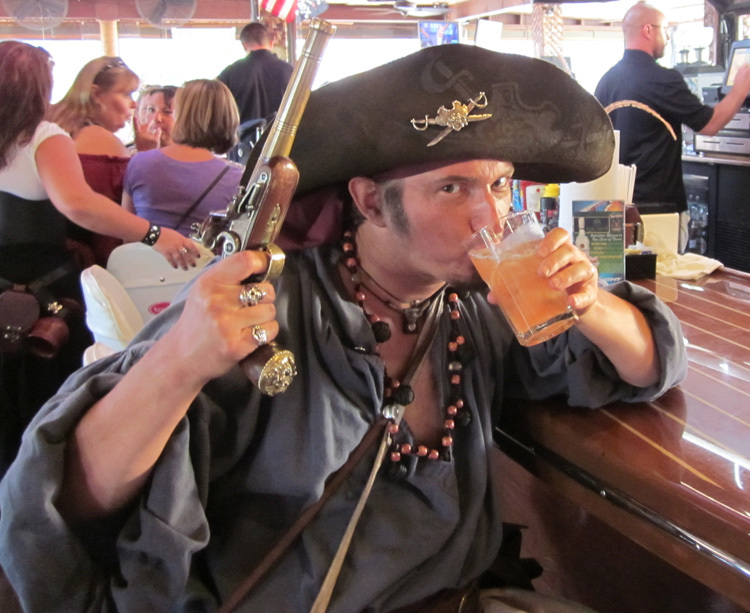 Pirates on the Beach Pub Crawl, September 19 | King Rentals, Inc.King Rentals, Inc.
As a part of this weekend’s Space Coast Music Festival, Mad Hatter Promotions will be presenting the 1st Annual Pirates on the Beach Pub Crawl this Saturday, September 19. The crawl will run from 7 p.m. to midnight and will take attendees to some of Cocoa Beach’s best establishments. Like the Space Coast Music Festival, the pub crawl will benefit EARTH Awareness in support of local music programs for children. Attendees are encouraged to dress in pirate garb in celebration of Talk Like a Pirate Day. Stops on the crawl include the Beach Shack, Juice N Java, Coconuts on the Beach, the Pig & Whistle, and Venice; ticket bearers can visit each location in any order or follow the crowd. All participants will be provided a cab home upon request. For ticketing and event information, visit Mad Hatter Promotions’ website, or join the event on Facebook. If you are planning to visit the Space Coast and are in need of accommodations, give us a call at (321)-784-5046 or e-mail us at [email protected]!